The sport of tennis is played on a.... yeah, a tennis court; but what about the surface? Maybe a carpet court? What about the speed of the court? Maybe medium fast. Wait.. is it lawn tennis or real tennis? Are all tennis courts the same size? 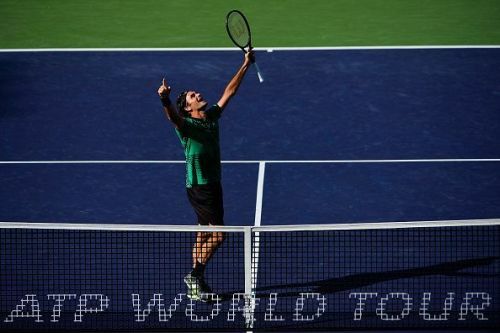 How big is a tennis court? This article will answer the above questions and also will give you an insight into the dimensions, surface types, etc. on Tennis Courts. These dimensions are set as the standard for lawn tennis by the International Tennis Federation and written down in the 'Rules of Tennis' document. The Tennis court is 78 feet (23.77 meters) long. Its width is 27 feet (8.23 meters) for singles matches and 36 feet (10.97 meters) for doubles matches. The service line is 21 feet (6.40 meters) from the net. A clay court is primarily made with stone, brick and crushed shale. The tennis ball on the clay court has the interesting feature of digging into the dirt. This results in the ball bouncing higher which means it's a service that does not favor the big servers but rather the base-liners and more strategic players. 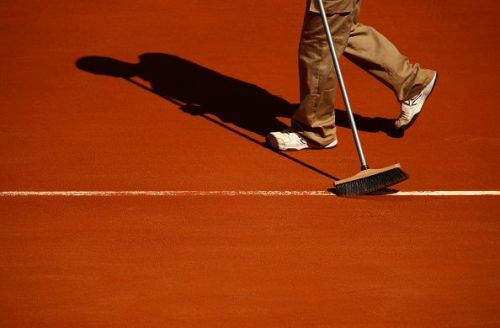 The clay court is the cheapest court to construct but is also is the court that requires the most maintenance. The water content should be balanced and the courts have to be rolled often to maintain flattened form. Europe is generally the hub for clay court events on tour. The French Open was the only Grand Slam on clay but lasted for a small window from 1975 to 1977. The grass courts are the fastest of all the grass courts. Before the open era most of the games were played in grass courts. Over time, the maintenance and cost have made it not so popular. Grass courts are made by growing grass in hard packed soil which can create a lot of micro-variations in the surface type. 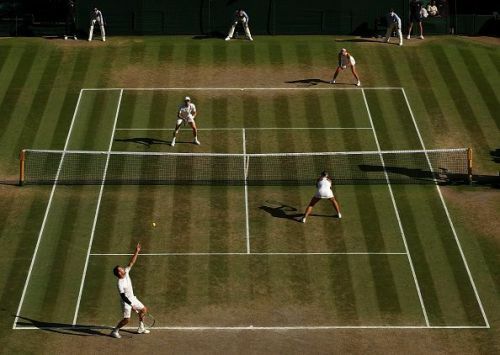 Grass courts are often called the most 'alive' because the courts react to how healthy the grass is, the wear and tear in the previous matches and even to how long back the grass was mowed. Hard courts are by far the most popular surfaces these days, primarily due to the one-time investment and minimum maintenance. The courts are made up of uniform rigid material, often covered with an acrylic surface layer to offer greater consistency of bounce than other outdoor surfaces. Hard courts generally vary in speed, they are slower than grass courts but faster than clay. The quantity of sand added to the paint can greatly affect the rate at which the ball slows down. 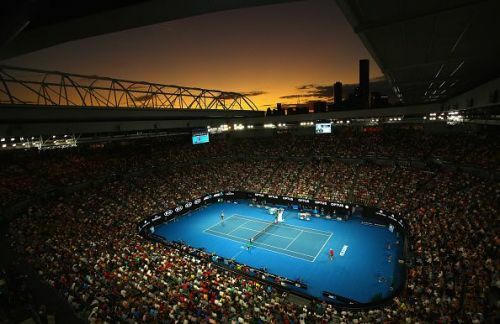 The US Open is played on DecoTurf while the Australian Open is played on PlexiCushion, both acrylic-topped hard court surfaces. Carpet courts are rollable court surfaces. They are characterized by their low bounce and fast surface compared to hard courts. The carpet courts have gone out of fashion lately and have been discontinued from the world tour (although there are still a few in the WTA and the Challenger Tour). Notably, the Paris Masters used to be played on the carpet before shifting to an indoor hard court. Well, what about courts other than lawn tennis courts? 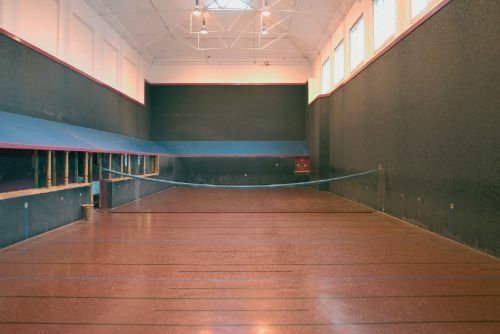 Real Tennis: The precursor to lawn tennis. This is an indoor sport with wildly different rules. 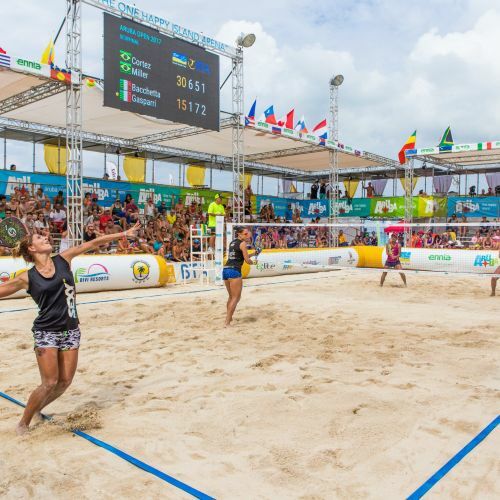 Another rarely heard form of tennis is Beach Tennis, a combination of tennis and beach volleyball; and this, as the name suggests, is played on a completely different type of court. There are many more varieties of tennis and tennis courts, such as soft tennis, paddle tennis, platform tennis, and even football tennis but we'll explore the wilder forms another time. Advantage service box or Ad court: The receiving player's left side service box, or the opponent's right side for the server. Alley: The lanes on each side of the singles court. These are used only during doubles matches. Baseline: The rearmost line of the tennis court. Center service line: The line dividing the two service boxes on each side of the court. Center mark: The 12-inch mark at the halfway point of the baseline used to differentiate between the two halves of a tennis court. 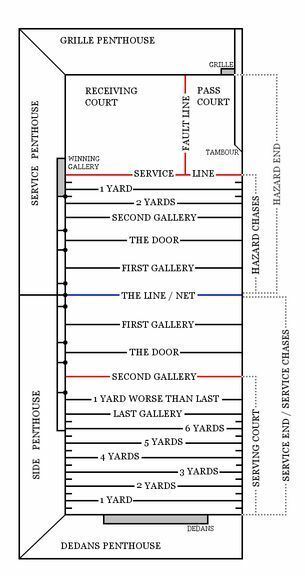 Service line: The line that is parallel to the net and the one between the baseline and the net.